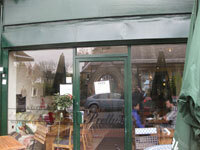 The Burgess family own the Pretty’s shop and cafe businesses in the heart of East Dulwich at 47-49 North Cross Road. 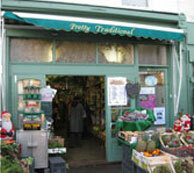 There has been a greengrocers at No 47 since 1905 making the business one of the oldest in the area. In 1966 the business was bought by the Pretty family. 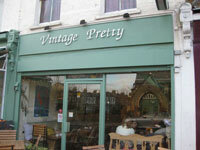 Later Chris Burgees acquired No 47 later and in 2009 set up a daytime cafe Vintage Pretty at No 49. In 2014 Nick Burgess took over the business from his father so Chris could focus on the cafe. In the same year Charlie and Maya set up an evening tapas bar at No 49.